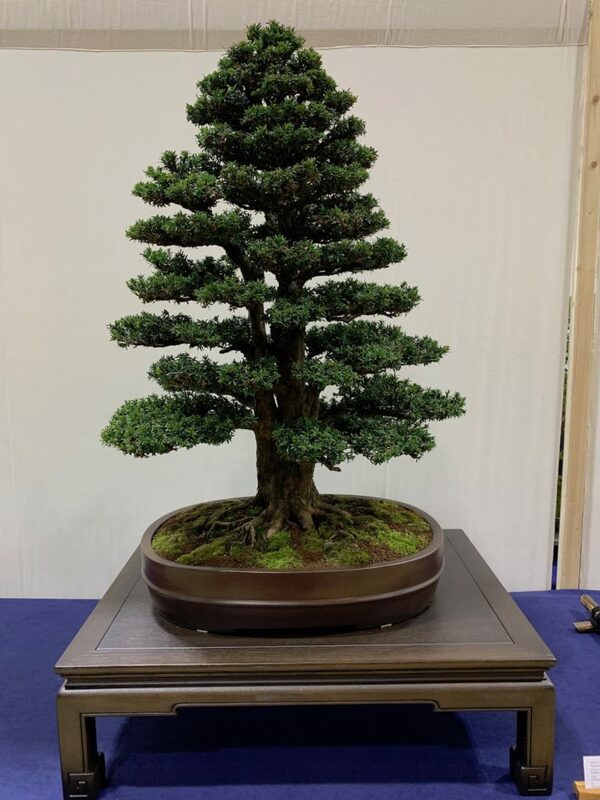 An English Yew (Taxus baccata) was also exhibited by Terry and he has developed this tree from a seedling since 1982 and it was in a Chinese pot. 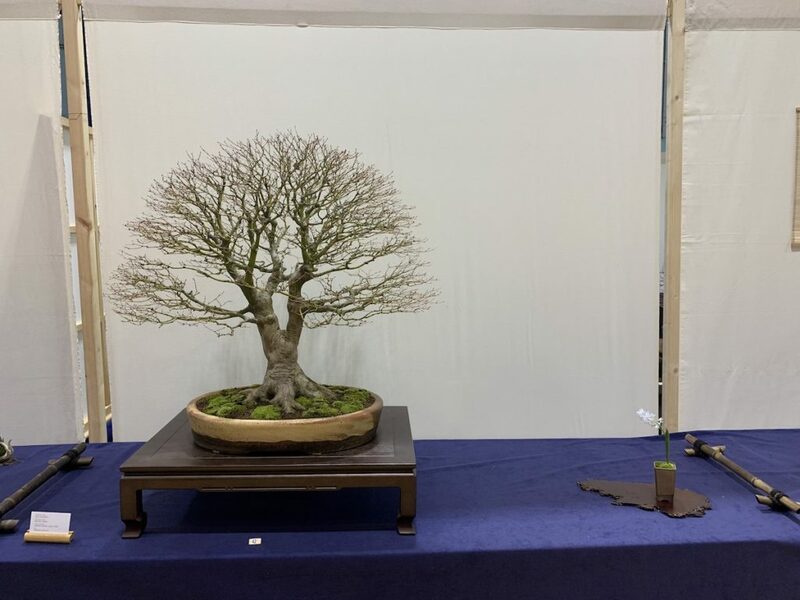 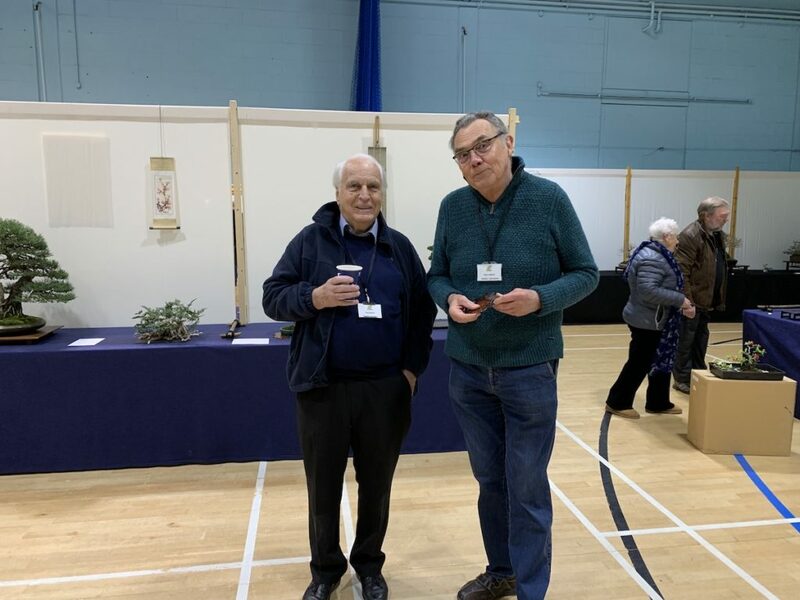 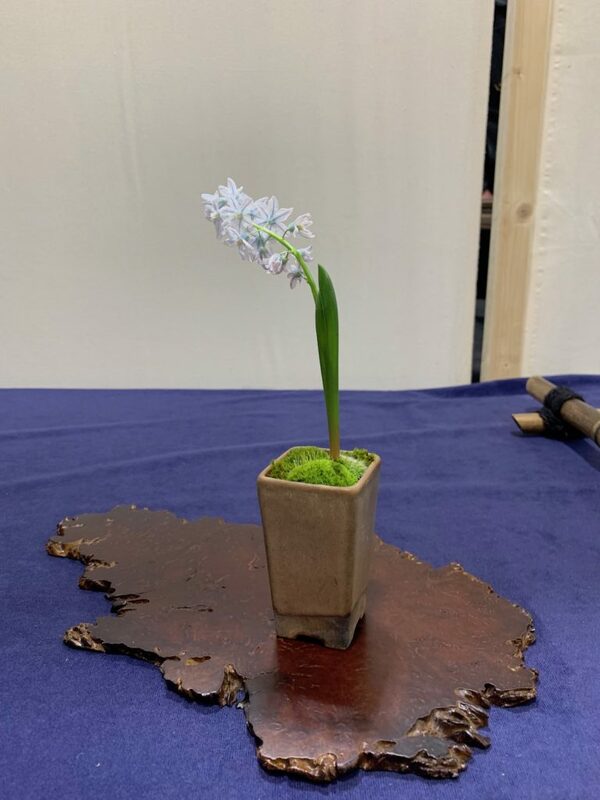 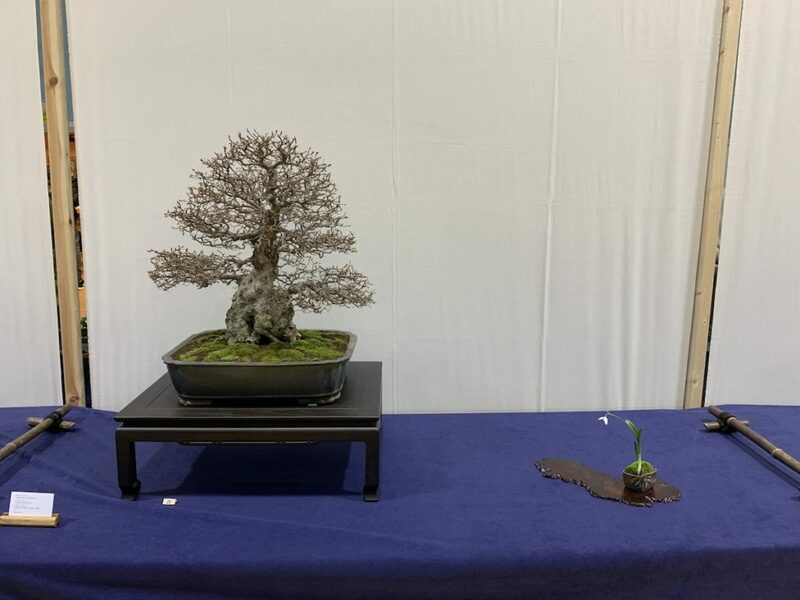 It was great to see an Amur maple (Acer ginnala) on display; it was its first outing to a show and exhibited by Terry. 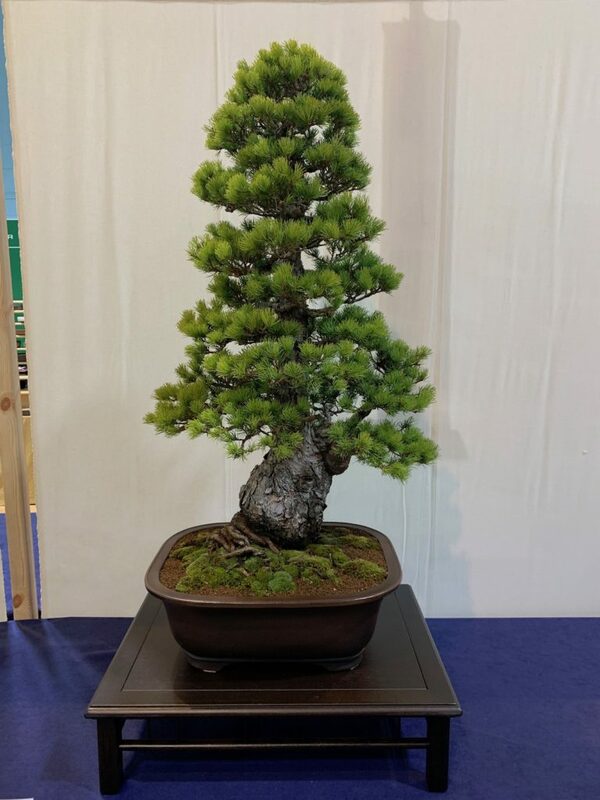 He has grown this from a seedling for 27 years now and it is in a Gordon Duffett pot. 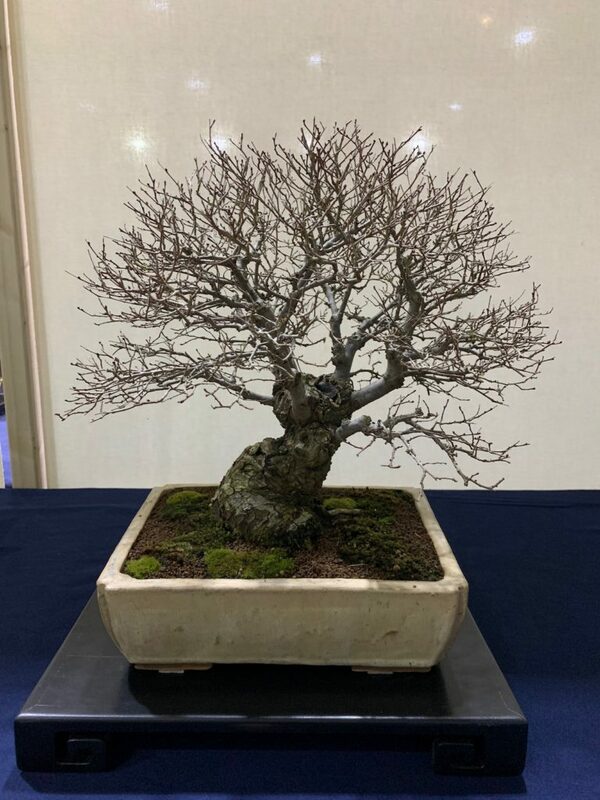 He also presented alongside a Siberian Elm (Ulmus pumila) which was grown by Terry from a cutting in 2006. 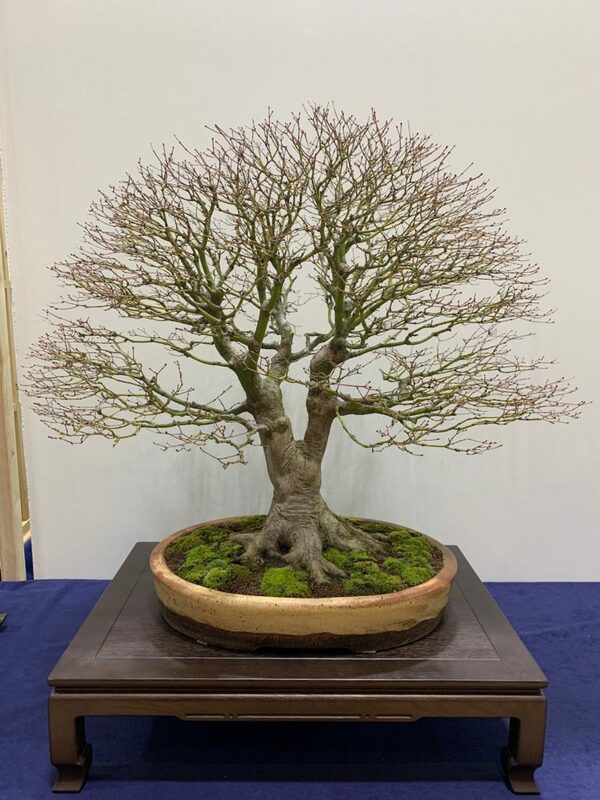 Another tree shown by Terry was a Mountain maple (Acer palmatum) that he developed from a garden center plant back in 1992 and it is in a Walsall ceramic pot. 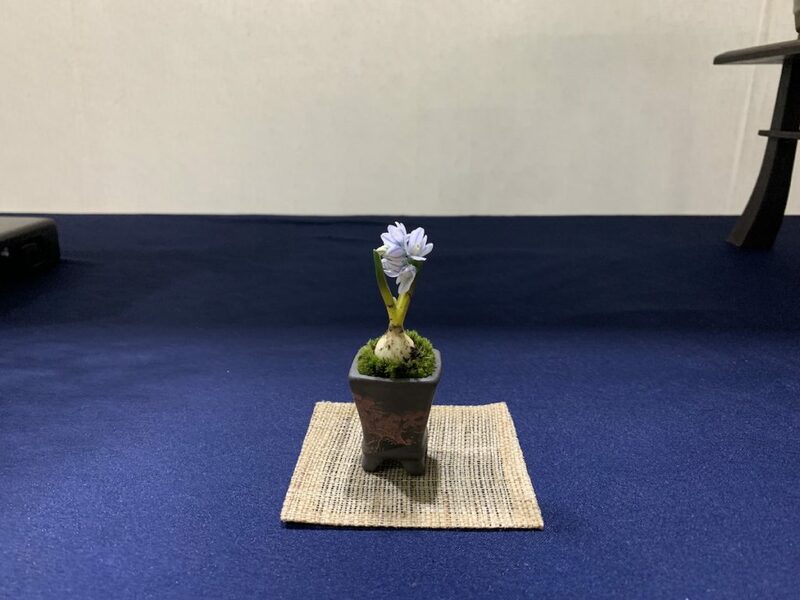 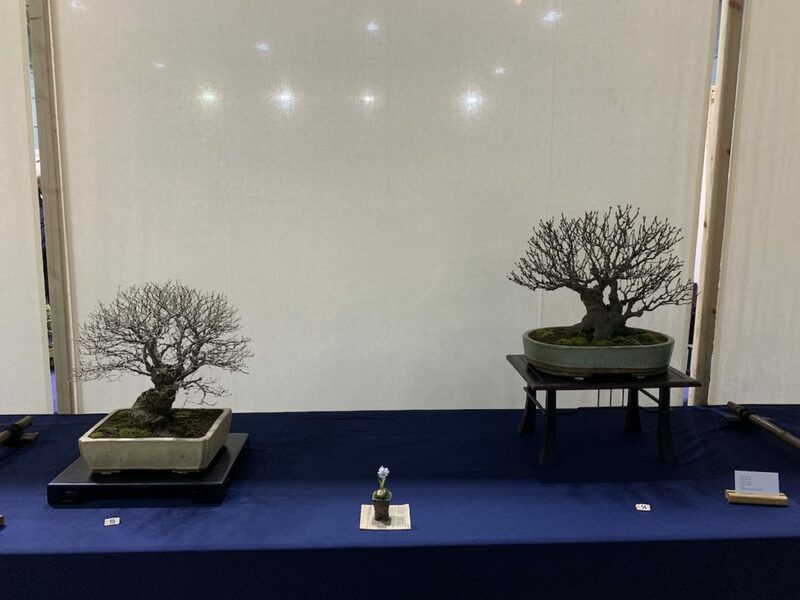 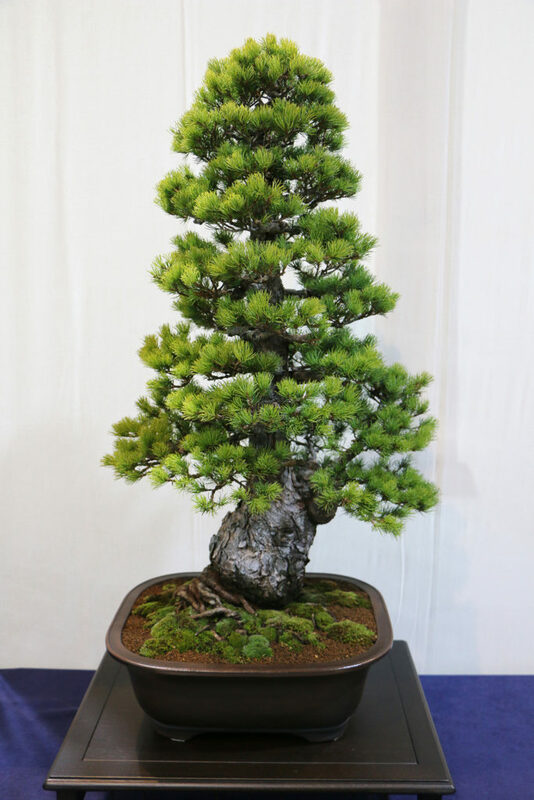 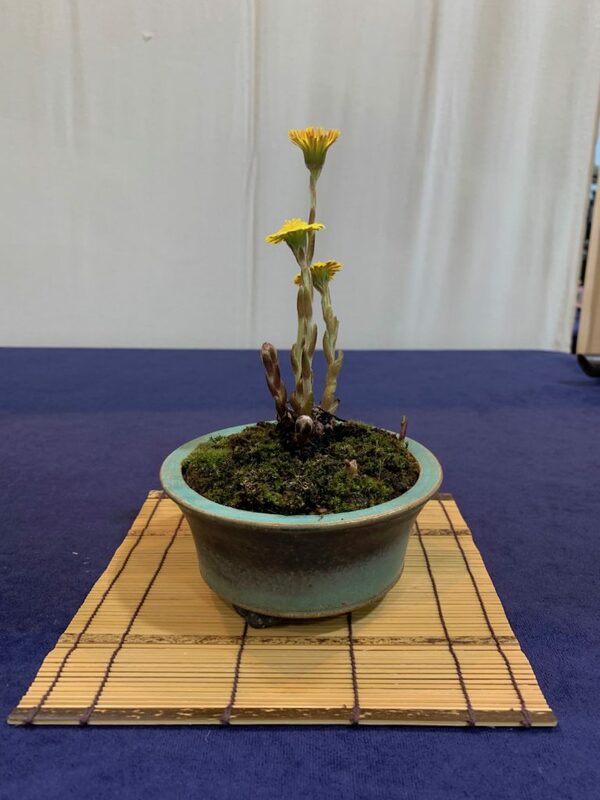 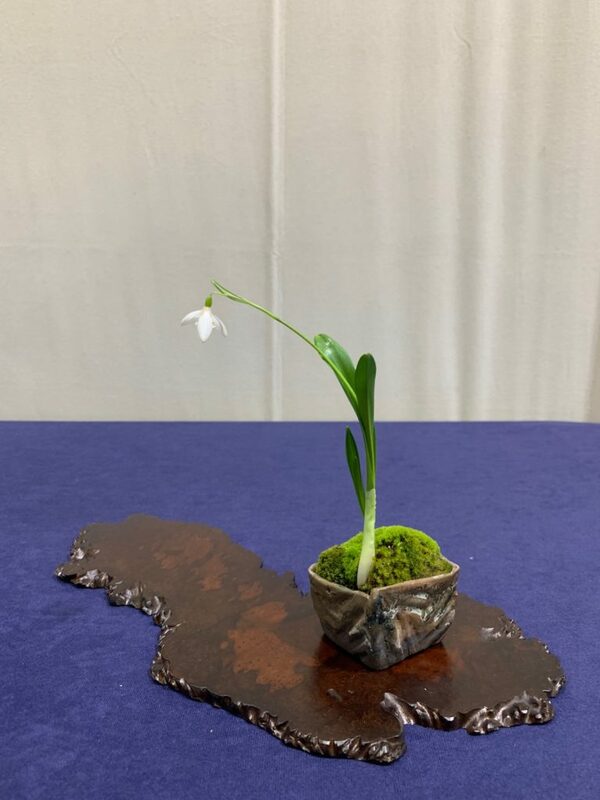 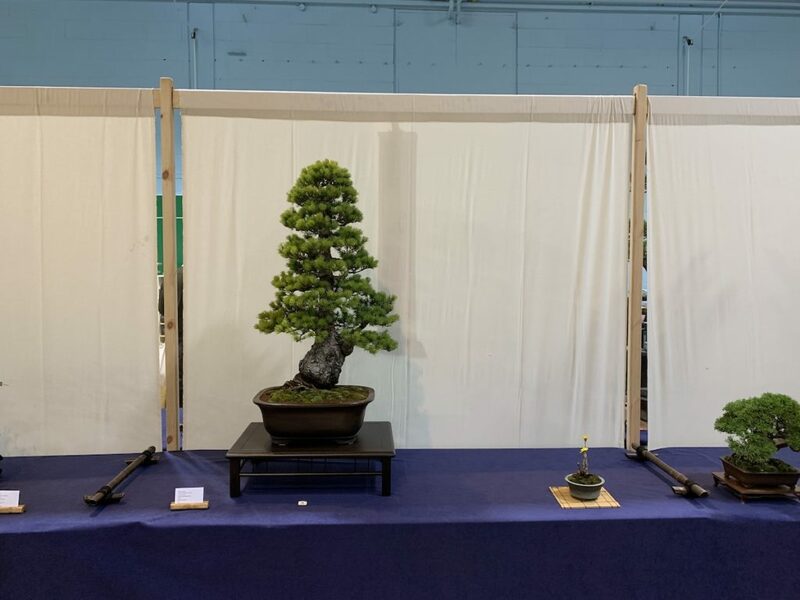 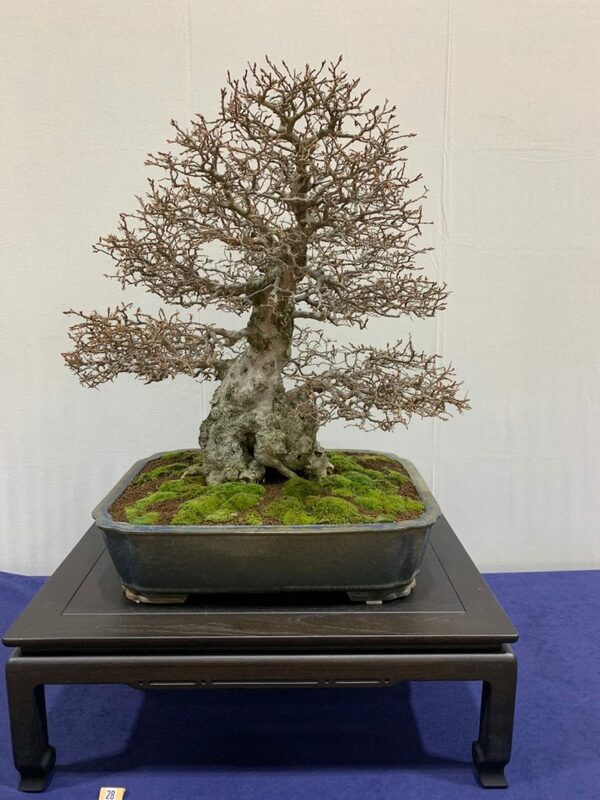 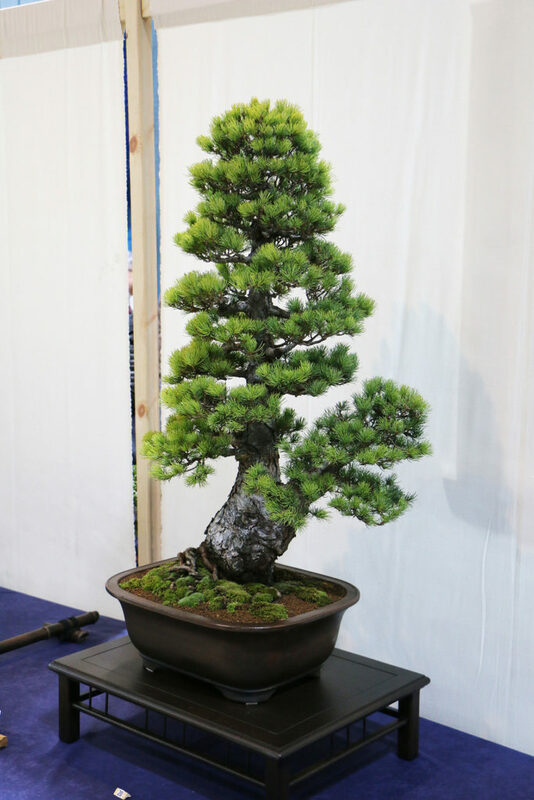 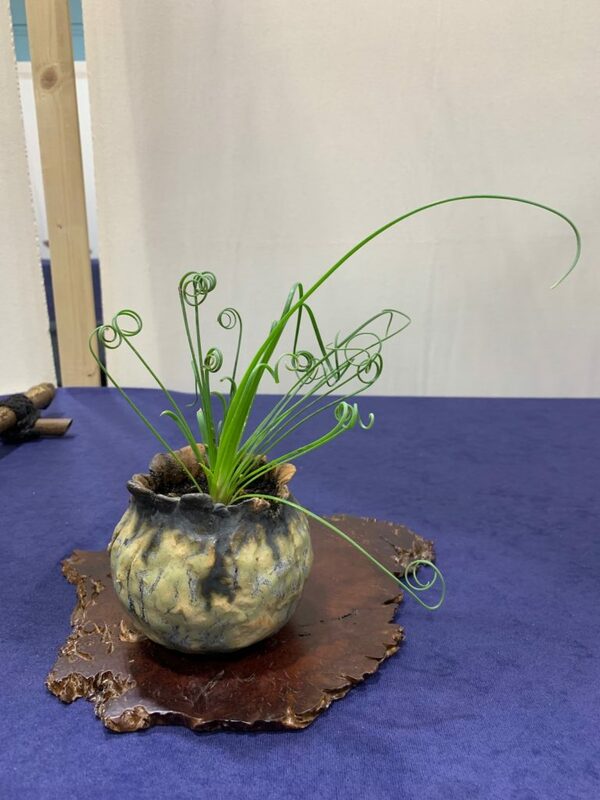 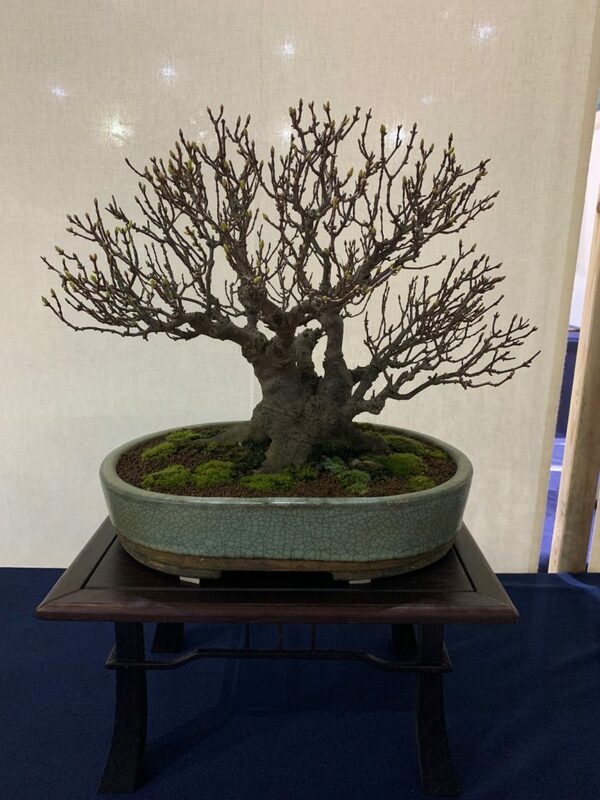 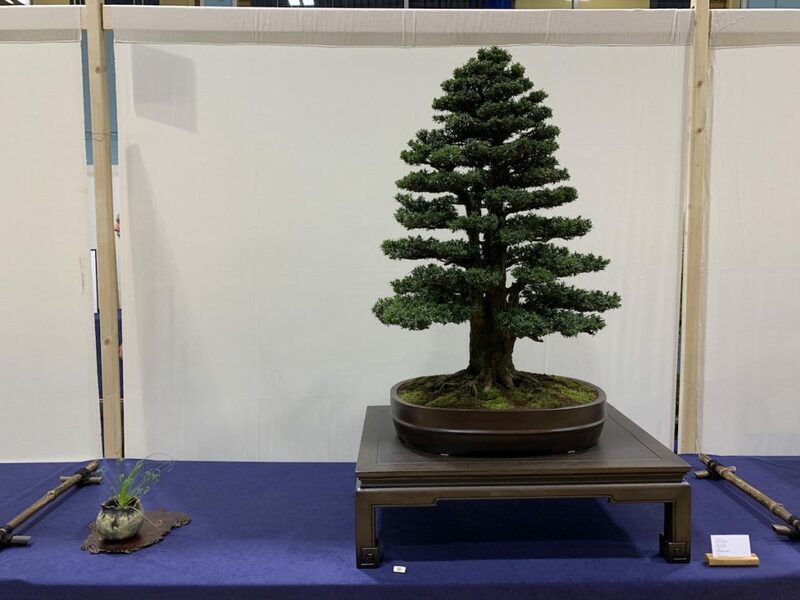 Posted April 16, 2019 by AW & filed under Members Trees, Show Reports, Winter Show.